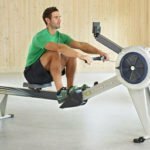 Why Has The Concept 2 Model D Rowing Machine Been Called The Best Selling Indoor Rower In The World? With its top of the line Performance Monitor 5 to track data, Bluetooth smart connectivity and plenty of other high-end components and conveniences to raise its performance level, the Concept2 Model D Indoor Rower automatically stands out to consumers looking for something special. 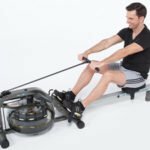 All of these features have ensured that this product is advertised as being the “best selling indoor rower in the world”: does feedback from buyers support this idea or are they a little more critical? What benefits have buyers enjoyed when working out with this Concept 2 Rower? One of the selling points that stands out the most with this Concept 2 Model D Indoor Rower with PM5 is the idea that it can be folded up and even disassembled into two separate parts to be stored away when not in use – something that most reviewers have said really does work. This suggests that the construction is geared towards user convenience as much as performance and buyers have highlighted a number of other useful features that they appreciate, such as the use of caster wheels to aid with the transportation across the apartment floor and the adjustable parts like the footrests. Ease of use is the key benefit for many users but this should not disguise the fact that it is still a high-quality machine with top features and a great motion, something that is addressed by all of the 5 star reviewers that liken this machine to equipment they have used in the gym. The smooth, quiet flywheel is a great start towards ensuring that buyers have a comfortable training session but there are also comments regarding the quality of the beam, the way that the seat glides across it and the use of that PM5 monitor. This display is said to offer “accurate, comparable data for every row” and buyers agree that it is easy to use and highly informative. 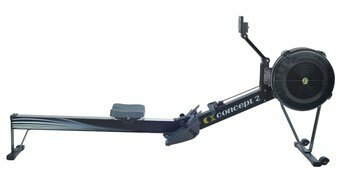 Does this Concept 2 Model D Indoor Rower have any downsides that might limit its appeal? 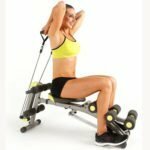 The scores on reviews for this rowing machine are very high as the vast majority of users feel that it does everything that they require with some added benefits thrown in. The only possible disadvantage to choosing this machine is the cost. There are those that begin their reviews with a sort of ‘you get what you pay for’ attitude, only this time it is meant in a positive way as you have to pay extra for the parts offered with this machine but it rewards buyers in its quality and performance. 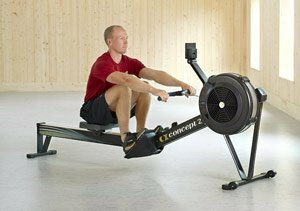 Summary: does this mean that this Concept 2 Model D PM5 Rower is wholeheartedly recommended? 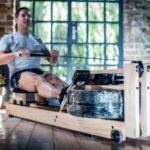 Clearly, if money is an issue and you are looking for value for money in the sense of a cheap model with a surprising amount of potential, this may not be the right rowing machine for you. If, however, you are happy to pay a little bit more for the privilege of a reliable, smooth motion, a high-end flywheel and a helpful display unit, this Concept 2 rowing machine should prove to be a great choice because of the way that it aids users during their training and can still offer the convenience of adjustments and a folding frame. You can check out more customer reviews about the Concept 2 Model D Indoor Rower with PM5 at Amazon here.